VA helps Veterans and their families cope with financial challenges by providing supplemental income through the Veterans Pension benefit. Veterans Pension is a tax-free monetary benefit payable to low-income wartime Veterans. Generally, a Veteran must have at least 90 days of active duty service, with at least one day during a wartime period to qualify for a VA Pension. If you entered active duty after September 7, 1980, generally you must have served at least 24 months or the full period for which you were called or ordered to active duty (with some exceptions), with at least one day during a wartime period. Your yearly family income must be less than the amount set by Congress to qualify for the Veterans Pension benefit. Learn more about income and net worth limitation, and see an example of how VA calculates the VA Pension benefit. 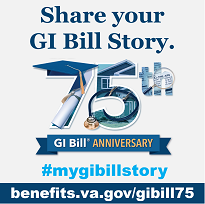 Veterans or surviving spouses who are eligible for VA pension and are housebound or require the aid and attendance of another person may be eligible for an additional monetary payment. To apply for increased pension based on A&A or Housebound payments, write to the PMC that serves your state and provide medical evidence, such as a doctor’s report, that validates the need for an increased benefit.